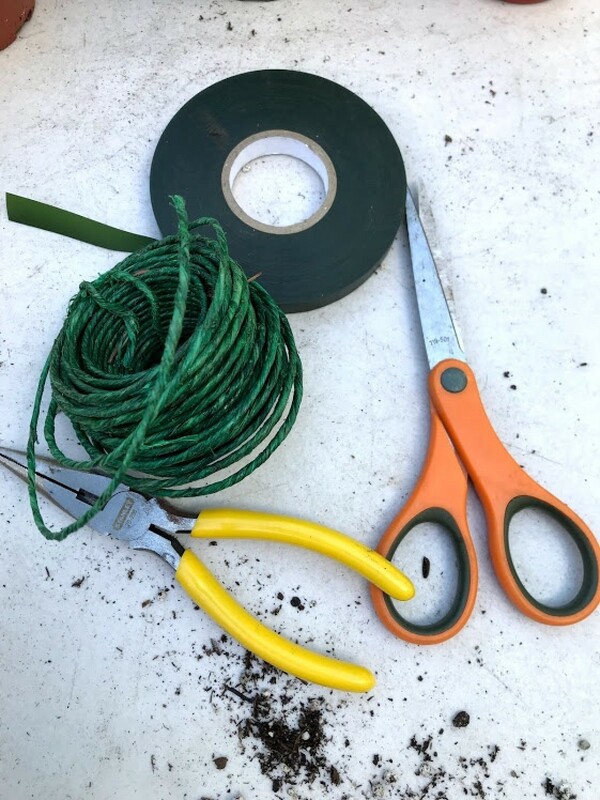 From a sad droopy plant to a happy structured plant - easily make your own plant trellis with a piece of simple plant wire and plant tie ribbon. 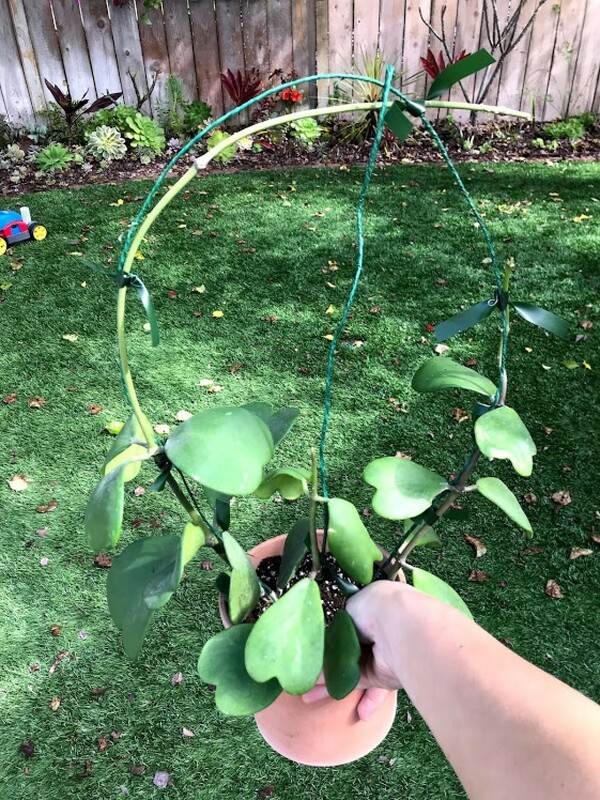 This is an inexpensive solution for your own plant trellis and you're still left with lots of wire and ribbon left for other uses! 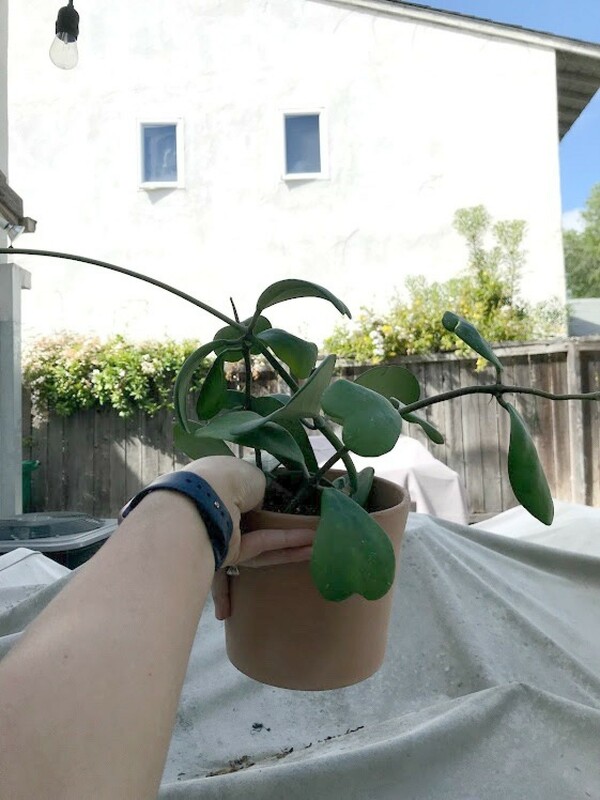 Is your plant like this? Not supported. Using plant wire, make a curve shape and stick the ends into the soil. 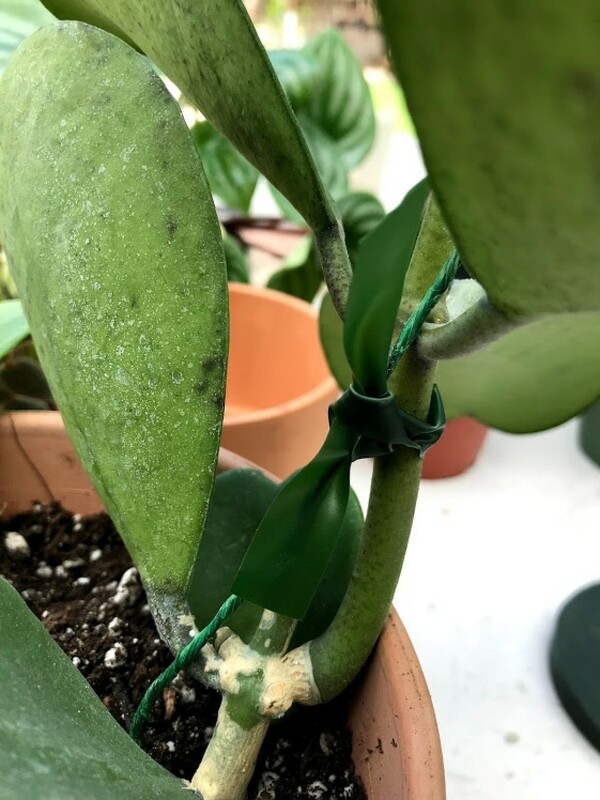 Tie plant ribbon to sides of plant and plant wire. Optional: If needed secure a third straight piece of plant wire and and tie ribbon to the plant/wire. 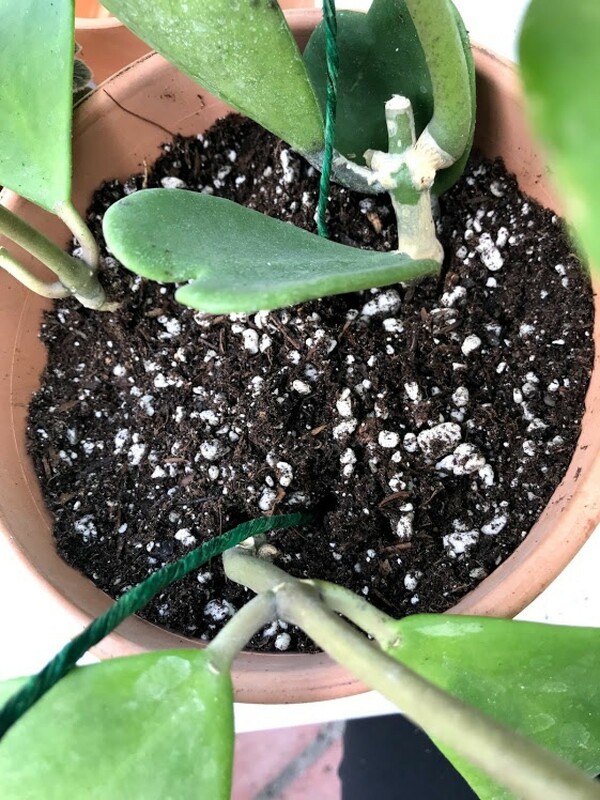 It will vary on how many plant wires you'll need for your plant.